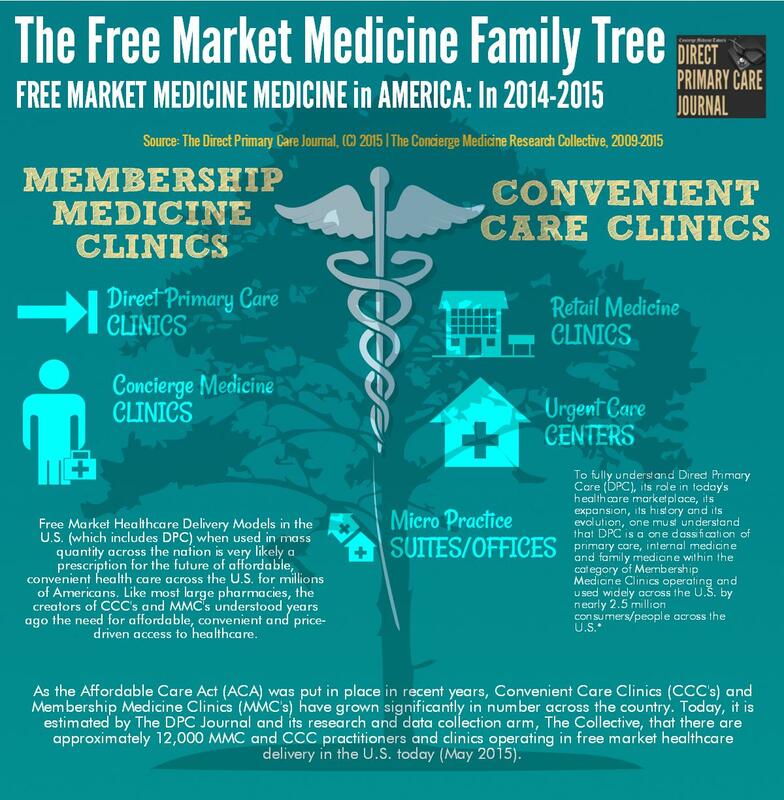 Atlanta, GA | SEPTEMBER 9, 2015 – Concierge Medicine Today (CMT), the industry’s oldest national trade publication for the Concierge Medicine marketplace, released new figures this week summarizing Concierge Medicine physician compensation and salary data across the U.S. from 2014-2015 calendar year. We identified Concierge Medicine (also known as retainer medicine) Physicians who currently have a relationship between their medical practice and a patient, in which the patient pays an annual fee or retainer. Additionally, the practice does participate in some insurance plans on behalf of their patient population. 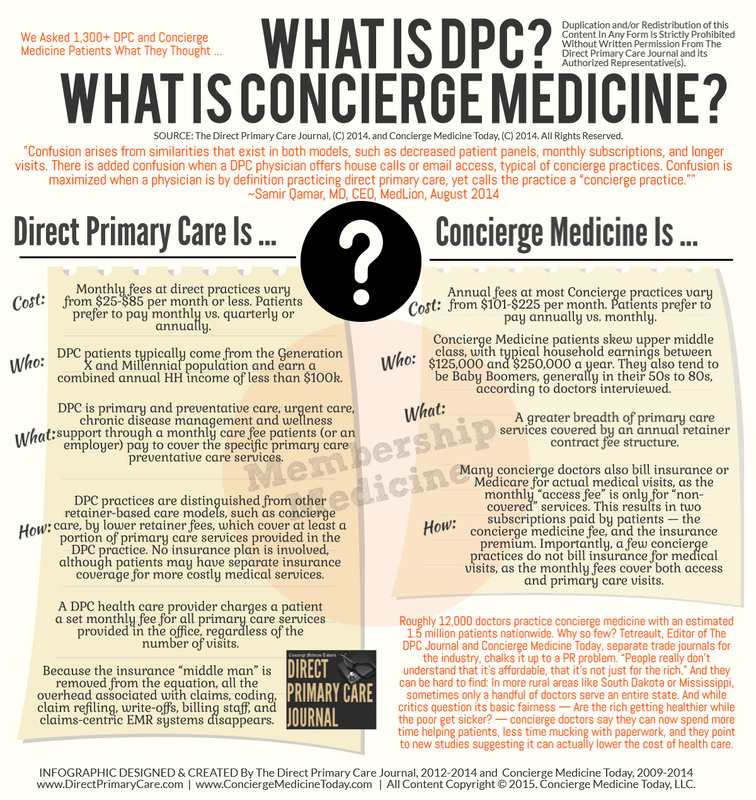 FACT: Concierge Doctors Are Not Millionaires (Posted: January 2015). 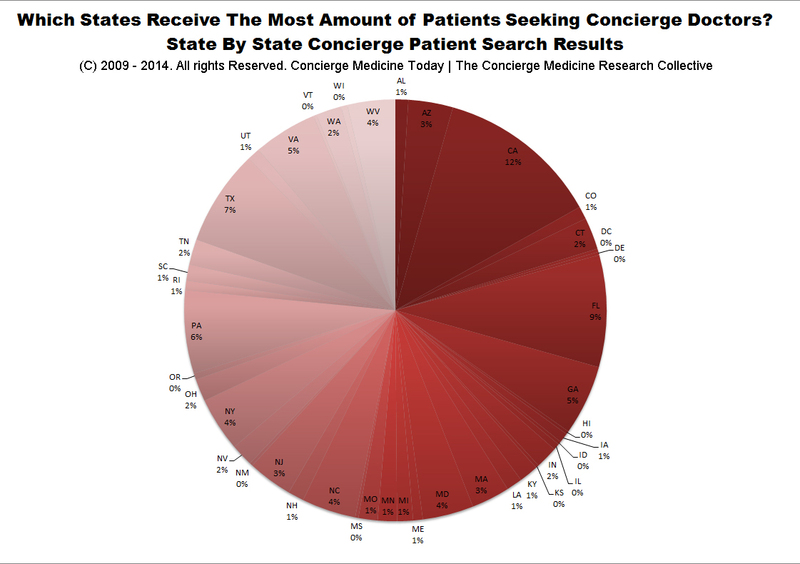 The data is based upon written surveys, polling analysis and verbal responses received from Concierge Doctors throughout the U.S. from 2014-2015. Additionally, CMT included in the report, previous Concierge Physician Compensation data from 2012-2013 and 2013-2014 for comparison. 40% of Concierge Physicians reported that their annual salary/earnings in 2014-2015 increased compared to years past. 13% of Concierge Physicians reported that their annual salary/earnings in 2014-2015 decreased compared to years past. 47% of Concierge Physicians reported that their annual salary/earnings in 2014-2015 remained unchanged or the same compared to years past. Reasons given by Concierge Physicians for decreases in salary included: increasing business taxes (both State and Federal) and fewer patients were renewing their membership with the practice. 33% of Concierge Physicians reported working within the city-limits of a large Metropolitan (in-city limits) area. 42% of Concierge Physicians reported working within the city-limits of a Suburban Practice. 25% of Concierge Physicians reported working outside of the city-limits in a Rural Practice. Patient Search Pattern BOOM TOWN Trends, 2014-2015 — by CMT. According to Concierge Medicine Today (CMT), because there is no official federal or state registry, it’s hard to pin down exactly how many physicians have switched to Concierge or direct-pay practices. Today, it is estimate that as many as 12,000 physicians operate across the U.S., according to CMTs interviews with doctors, consultants and investors in the sector. That’s still only a sliver of the roughly 904,500 actively practicing physicians in the United States today. While growing, it’s not for everyone. And it’s not without critics. Concierge Doctors argue that they save patients money by reducing their need to go to specialists and hospitals. In the past two to three years, there is new data being published out of this industry that supports these claims. Concierge Doctors generally charge patients a membership fee — typically $1,500 – $2,700 a year — outside of the traditional insurance system. They often have fewer patients — usually no more than 600, compared to 2,500-plus for a typical physician — so they can spend more time with each one. Many concierge doctors also offer testing that insurance doesn’t routinely cover. Some order blood tests that check for inflammation associated with heart disease. Others run body composition profiles to measure muscle mass and fat levels. Overall, concierge patients skew upper middle class, with typical household earnings between $125,000 and $250,000 a year, according to CMT. They also tend to be Baby Boomers, generally in their 50s to 80s, according to doctors interviewed. Less than 1% of Concierge Physicians reported earning $1 – $100,000 per year. 19% of Concierge Physicians earn $100,000 – $200,000 per year. 23% of Concierge Physicians earn $200,000 – $300,000 per year. 15% of concierge Physicians earn $300,000 – $400,000 per year. 20% of Concierge Physicians earn $400,000 – $500,000 per year. 22% of Concierge Physicians earn $500,00 – $1 Million per year and above. On average, a Concierge Physician earns the equivalent salary of a specialist, such as a cardiologist or a radiologist. Most concierge doctors do a significant amount of charity work, often seeing about 10 percent of their patients free-of-charge or at a reduced fee. Concierge Medicine puts the incomes of internists and family practitioners on par with their colleagues. A 2012 Medscape study found that the average salary for a primary care physician ranged from $156,000 to $315,000, while Bloomberg Businessweek reported that the average salary for a Concierge Physician ranged from $150,000 to $300,000. 14% of Concierge Physicians earn $1 – $100,000 per year. 31% of Concierge Physicians earn $100,000 – $200,000 per year. 19% of Concierge Physicians earn $200,000 – $300,000 per year. 14% of concierge Physicians earn $300,000 – $400,000 per year. 13% of Concierge Physicians earn $400,000 – $1 Million per year. 9% of Concierge Physicians earn $1 Million per year and above. 49% of Concierge Physicians reported that their annual salary/earnings in 2013 increased compared to years past. 41% of Concierge Physicians reported that their annual salary/earnings in 2013 decreased compared to years past. 10% of Concierge Physicians reported that their annual salary/earnings in 2013 remained unchanged or the same compared to years past. Concierge Physicians within the hospital environment may enjoy the best of both worlds. They see a reduced number of patients on a day-to-day basis while earning higher salaries and handling less administrative obligations than they would in a traditional private practice setting. When compared to traditional, insurance-based physicians working in a hospital setting, Today’s Hospitalist conducted their own limited survey of non-concierge Hospitalist physicians and found that the salary ranges very widely with some Hospitalists making between $150,000 to $227,000 in annual income. 14% of Concierge Physicians earned $1 – $100,000 per year. 23% of Concierge Physicians earned $100,000 – $200,000 per year. 25% of Concierge Physicians earned $200,000 – $300,000 per year. 21% of Concierge Physicians earned $300,000 – $400,000 per year. 17% of Concierge Physicians earned $400,000 – $1 Million per year and above. In some instances, a concierge medicine office will serve 600 patients and these membership fees can generate a gross income of $900,000 (600 patients x $1,500). If the practice bills the patient’s insurance for additional healthcare services, these insurance reimbursements will also add to the gross income of a concierge medical practice. One physician told Medical Economics recently that membership fees in his practice account for two-thirds of his gross revenue, while insurance revenue brings in the remainder. Many physicians in this industry report that switching from a traditional, insurance based, managed care style medical practice business model to a membership-based business model helps reduce administrative costs, operational expenditures and staffing. With a reduced patient load from that of a traditional primary care practice, concierge medicine clinics are more about improving the patient-physician relationship, eliminating costly distractions from a medical practice, such as insurance filings, and about simplifying the doctor-patient relationship based on price transparency. Many are now offering extended hours that cater to a more patient-centered relationship with a physician. According to CMT’s DOC FINDER, which receives thousands of unique patient visitors every month, California takes the lead with the most amount of prospective patient searches looking to connect with a doctor. ConciergeMedicineToday.com has become the leading digital resource for timely, trusted health news and concierge medical information and their DOC FINDER search engine is one of the most recognized, publicized and utilized physician search engine in the world. Concierge Medicine Today also reports that the states which appear to be the leanest from a Concierge Physician population perspective are in areas including: Hawaii; Idaho; Iowa; Mississippi; Maine; New Hampshire and South Dakota. Furthermore, Concierge Medicine Today found the number of patients who are seeking concierge medical care in the past 24-months is far greater than the actual number of primary care and family practice Concierge Physicians available to serve them. Concierge medical services in rural areas like Idaho, North Dakota, South Dakota, Alaska, Hawaii, Louisiana and Mississippi are in shortly supply. Oftentimes, there are less than half-a-dozen practitioners to serve an entire state. Concierge Medicine Today estimates Concierge Medicine physicians to number approximately 12,000 physicians and/or physician clinics throughout the U.S. This data is based upon an in-depth review and recent examination of the national marketplace as well as interviews with corporate industry leaders and marketplace decision makers. Over 80% of concierge physicians accept insurance in their practice, while the remaining have cash-only, menu-style healthcare practices. The majority of concierge doctors practices’ generally require each patient to pay a fee, the majority of which, (65%), cost less than $135 per month. The Top 10 Best States To Start A Career in Concierge Medicine in 2013-2014 include: Utah; California; Texas; Florida; Washington State; New York; Colorado; Georgia; Tennessee; and North Carolina These States were carefully selected based upon data and analysis by Concierge Medicine Today. Where Concierge Medicine practices are growing and there is the ability to scale their business for mass-market, employer appeal is likely to occur. The typical age of a Concierge Physician is between 40-59 years of age. Most Concierge Physicians treat six to ten patients per day. Female Concierge Physicians fill up their concierge practices 30% faster than men. 58% of Concierge Medicine practices employ 1-2 employees. Sources: Medical Economics; The Concierge Medicine Research Collective, 2013-2014; Today’s Hospitalist; Concierge Medicine Today, 2013-2014; Bloomberg Businessweek; The Direct Primary Care Journal, 2013-2014. Concierge Medicine Today (CMT), is a news organization and the industry’s oldest national trade publication for the Concierge Medicine marketplace. Their web site, http://www.ConciergeMedicineToday.com, is the online destination for consumers, businesses, physicians, legislators, researchers and other stakeholders to learn about the history of this industry, various business aspects of the marketplace, trends, breaking news and more that drives the conversation that concierge medicine and direct primary care is creating on a national and international level. To locate a concierge doctor or learn more, visit: http://www.ConciergeMedicineToday.com. The Concierge Medicine Research Collective is a research and data depository created by Concierge Medicine Today. The Concierge Medicine Research Collective is an independent health care research and data collection depository of the multimedia news and trade publication, Concierge Medicine Today based in Atlanta, GA. The Collective serves as an educational resource on all things Concierge Medicine and is geared towards those businesses, lobbyists, physician associations, health care advocacy groups and general consumers of healthcare who want to learn more about information available on the topic of concierge medicine. The Collective works in partnership with Universities, Physicians, Associations, Businesses, individuals and even Graduate Medical Students to further advance the educational awareness and facts surrounding unanswered questions about Concierge Medicine care in the U.S. and Canada. For more information, visit: http://www.AskTheCollective.org or http://www.ConciergeMedicineToday.com.